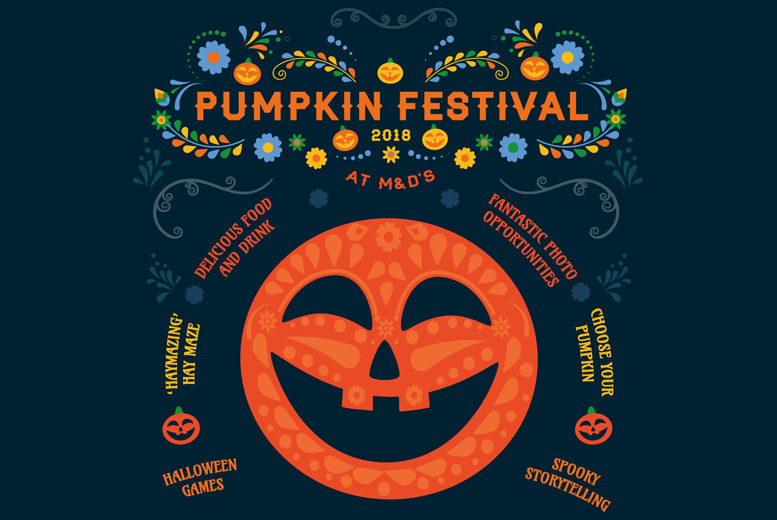 Trick or treat yourself with entry for two people to M&D’s Pumpkin Festival. With more than 3000 pumpkins ready to be taken to a new home, a dizzying hay maze, spooky storytelling and more. Plus an ‘unlimited’ rides wristband to use on all outdoor rides. As well as entry to Amazonia – an indoor tropical rainforest packed full of exotic animals like free-flying birds and butterflies! Valid for a morning or afternoon session on Wednesday 17th or Thursday 18th October – the ideal school holiday outing! Perfect for the whole family and a unique way to celebrate Halloween this October.